MasterBox 5 series cabinets from the renowned Cooler Master can surprise everyone. Case has a very flexible layout for both components and cabling. It is designed primarily for computer fans who are going with new trends and often changing components of their machine. With a modular system, your cabinet will grow with your hardware and adapt to your requirements. Do you want to build a dream gaming or multimedia machine and would like a visually appealing design? In that case, the beautifully designed MasterBox Q300L PC case manufactured by Cooler Master is a great choice for you. Key Features of the Cooler Master MasterBox Q300L? The case is well made and very rugged. It features a transparent sidewall, so you can appreciate the internal components. The case can hold MATX or mini ITX motherboards. In addition, it has a 28mm-wide space behind the motherboard, where you can hide all cables. With a perforated top panel, an optimised airflow is achieved to provide the most efficient cooling of all components. The modular I/O panel can be placed in up to 6 positions, according to your needs. The case is equipped with a headphone jack, a microphone connector and 2 high-speed USB 3.0 ports. Of course, it also features slots with enough room for even larger graphics cards that are up to 360mm long and it can also hold a processor heatsink up to 157mm high. The MasterBox Q300L case is ready to cool even the most powerful hardware, as there is enough room for fans and radiators. Of course, it also supports water cooling and is ready for you to install radiators. Additionally, the case has a good-quality, design-patterned filter that prevents damage from dust and dirt. mATX (Micro ATX), mITX (Mini ITX) Done! Dust filters, Supporting SSD (2.5") Done! 230 mm (23 cm) Done! 378 mm (37.8 cm) Done! 387 mm (38.7 cm) Done! 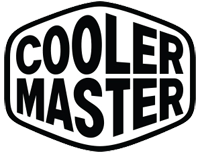 For shipping to other EU countries visit this page Cooler Master MasterBox Q300L. Chcete doručit zboží do Česka? Prohlédněte si Cooler Master MasterBox Q300L. Chcete doručiť tovar na Slovensko? Prezrite si Cooler Master MasterBox Q300L.